Israel’s LGBTQ rights are unusual for the deeply conservative Middle East. 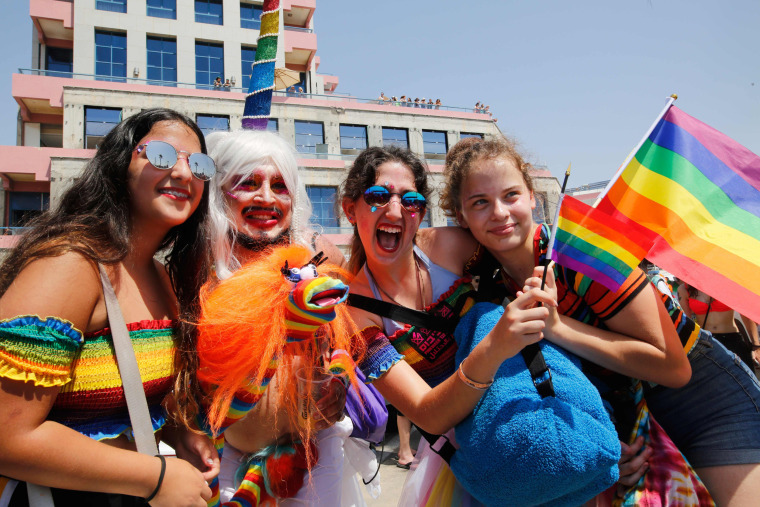 TEL AVIV - Revelers toting rainbow flags flooded Tel Aviv on Friday for an annual lesbian, gay, bisexual and transgender parade that Israel played up as evidence of its liberal values amid international censure at its lethal response to Palestinian protests in Gaza. “As #Israel wakes up to #Pride2018, where tolerance and acceptance are thought & celebrated yearly - #Iranian sponsored #Gaza #Terrorists of #Hamas wake to kill maim & burn us all, using women and children as human shields in their riot attempts to breach the border,” Ohad Nakash Kaynar, a spokesman for Israel’s Foreign Ministry, said on Twitter.